The Boyfriend bought a copy of this book for me back when we first saw the movie trailer. 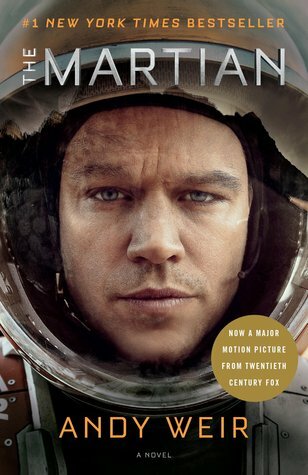 I had heard of The Martian long before that but it hadn’t piqued my interest enough to get it at the time. After seeing the trailer, I definitely wanted to read it before I saw the movie. Now that I’ve finally gotten around to reading it, I still want to see it. This was supposed to be my “work” book, and while I mostly read it during my lunch breaks, I also took it home with me to read after dinner and during the weekend instead of the other books I was reading at the time. I sincerely hope Weir has plans to write more books.